It is officially time to go green and with the colour being the official shade of the year, the celebration gets even brighter and greener. Whether you are planning to go for a party or a parade, you can always choose to keep it stylish and classy. 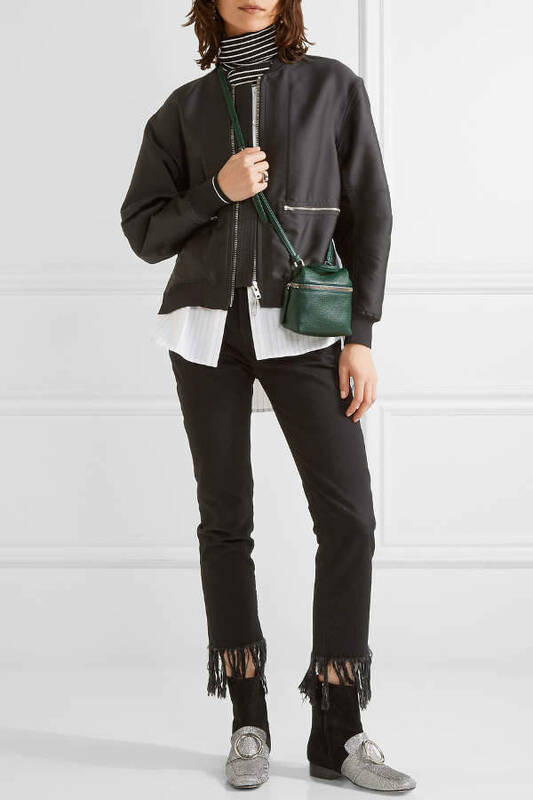 If you are still unsure on the perfect green piece to pair and dress, we have today compiled a list of 10 fashionable and chic ways you can bring green to your wardrobe for this St. Patrick’s Day. 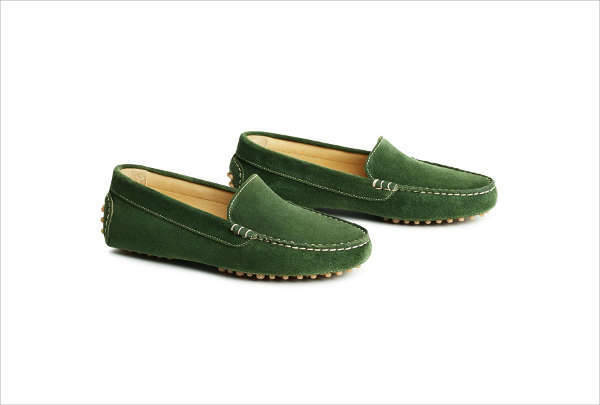 M. Gemi’s green moccasins are not just going to be the perfect pick for the St. Paddy’s Day but also perfect for year round comfort. The best-selling Felize style is expertly crafted in Toscana, Italy and it proves to provide comfort and sophistication together in one design. This Madewell dress is a complete green outfit perfect for the ones running late. The drape design is extremely comfortable to wear all throughout the day and it will definitely be one staple piece to wear in summers. Who can ever go wrong with a new pair of sunglasses and this Kate Spade New York Lorelle Cat Eye sunglasses in muted green are perfect to wear on St. Patrick’s Day. The soft green colour allows you to carry the sunglasses all throughout the season. The cat-eye shape is simultaneously retro and glamorous. Elegant and delicate, the minimally styled artful star settings bring out the celestial shine of faceted stone in the drop back earrings. 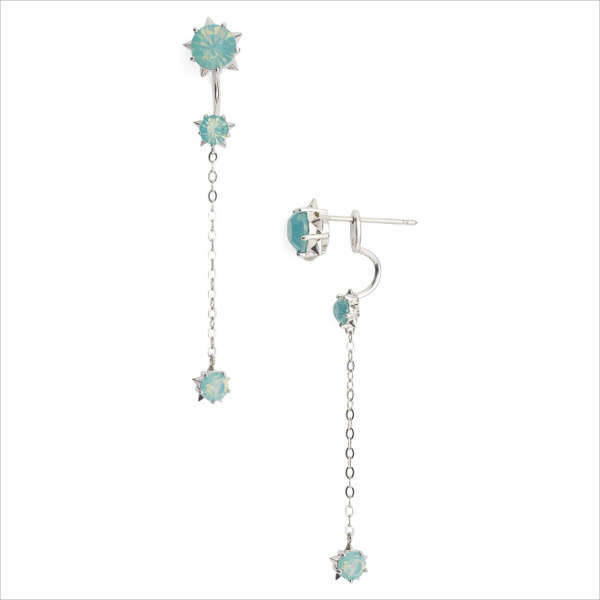 Pair the earrings with any plain outfit for an eye-catching and engrossing look. This minimalist and trendy backpacks carry a seamless silhouette that not only brings out the richness of the colour green but also look equally light for an everyday accessory. The subtle hue makes it easy to pair the bag with a range of outfits. 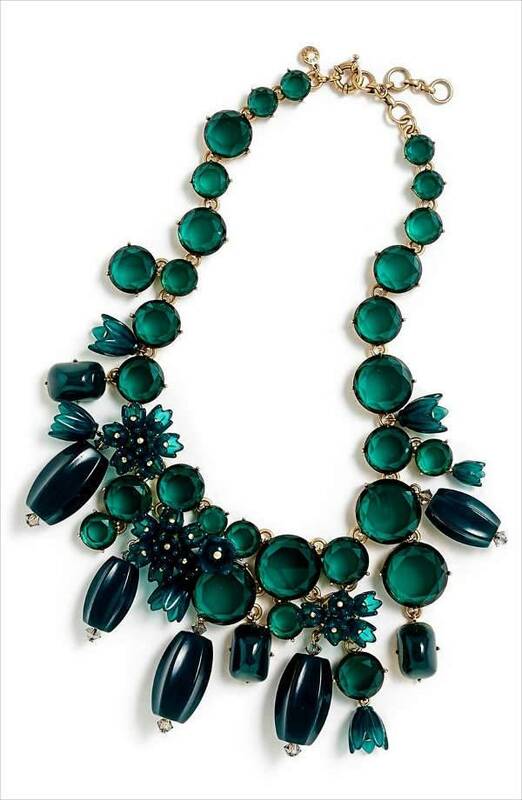 This bold statement necklace by J. Crew is perfect to add the rich pop of colour to any neutral outfit. The cluster of beads all strung and adjusted neatly make the design perfect to wear all round the year. 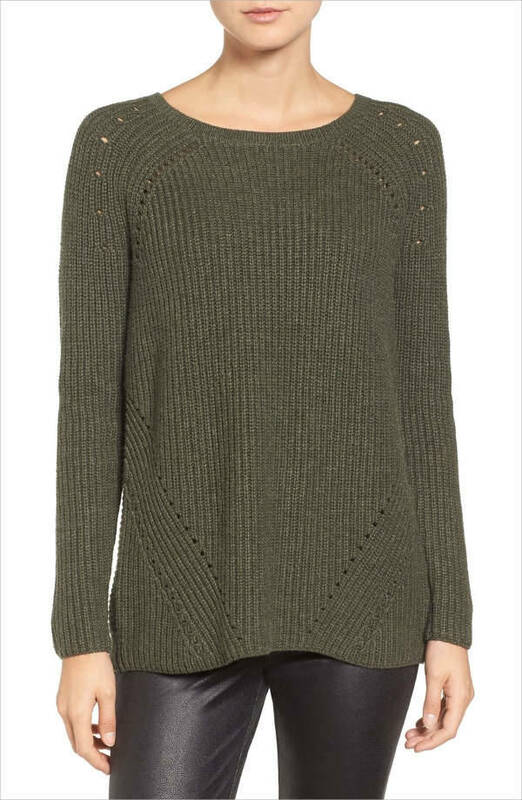 If you are looking for a basic sweater that is green and cosy, then this Trouvé Cross Back Sweater can be paired with trousers, jeans and skirts. The envelope back helps to add an elegant touch to the soft front. 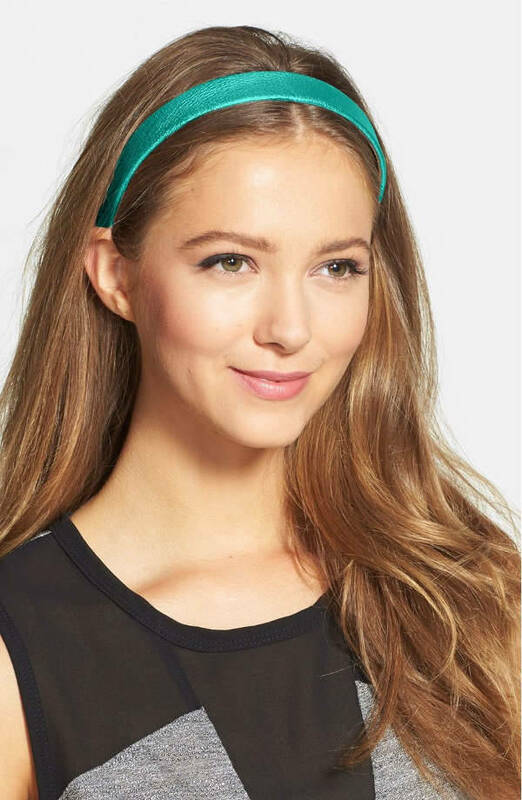 This green headband in pebbled leather brings a slender handcrafted value to the delicate hair accessory and it certainly works well for any occasion. This phone case is glitter, green and hypnotising all in one. 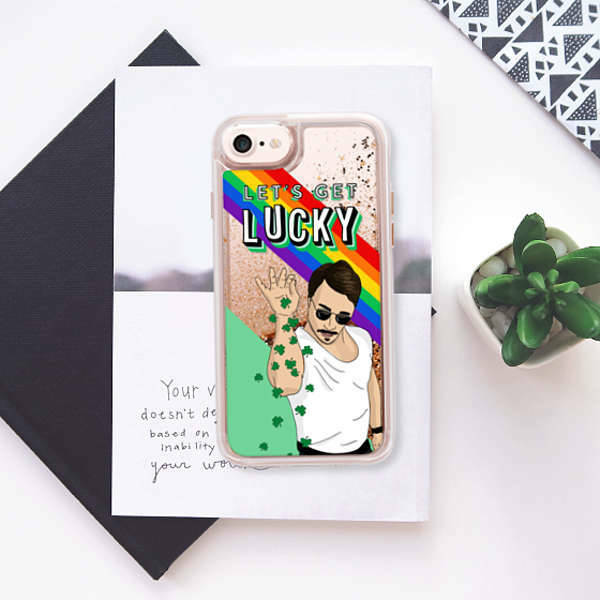 The phone case features liquid glitter in silver, gold, rose pink, or unicorn pastel with Salt Bae sprinkling four-leaf clovers everywhere. 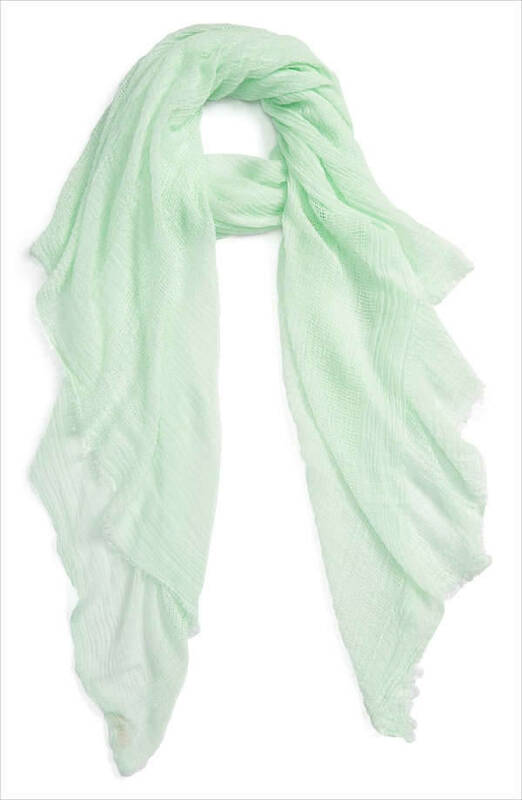 Calm and soothing, this beautiful scarf has delicate open-stitch panels running throughout the length of a gauzy, lightweight wrap tipped with soft eyelash fringe. Take a look through the above-mentioned designs and bring a green-y upgrade to your wardrobe for this season as well as St. Patrick’s Day.